4 Bedroom Semi Detached House For Sale in Wiltshire for Guide Price £450,000. A superb opportunity to purchase a contemporary, semi-detached four bedroom brand new home which is nearing completion in a great Salisbury location, only a short walk from the city centre and station. The property forms part of a stunning development of just four houses and will be presented to a high specification throughout, which is to be expected of this local developer who has a strong reputation for building fabulous homes in the area. The property offers well-proportioned, versatile accommodation set over three floors and comprises on the ground floor, a welcoming entrance hall, kitchen fitted with wall and base units and integrated induction hob and oven. . The sitting room boasts a light and sunny aspect with a door leading to the paved area and garden. A cloakroom completes the ground floor. The master bedroom can be found of the first floor benefitting from a modern en-suite shower room. There are two further bedrooms on this floor serviced by a family bathroom. The remaining good sized fourth bedroom is located on the second floor. This bright and spacious home is offered to the market with no onward chain and we highly recommend viewing to fully appreciate the location of the property and convenience of being so close to the city centre. The home is enviably positioned on Hulse Road, a highly sought after road located within walking distance of Waitrose and Salisbury city centre. Salisbury has an excellent range of regionally recognised retail establishments and social amenities including well known stores, a variety of supermarkets, pubs, restaurants, theatres, cinema and the Five Rivers Leisure Centre. There is also a twice weekly farmers market held in the Market Square every Tuesday and Saturday. The property is in a prime position to reach both Bishops & South Wilts Grammar Schools, and Salisbury Cathedral School, Chafyn Grove, Leehurst Swan, Godolphin School and Preparatory School. Salisbury train station offers direct links to London Waterloo in 83 minutes and the West Country. 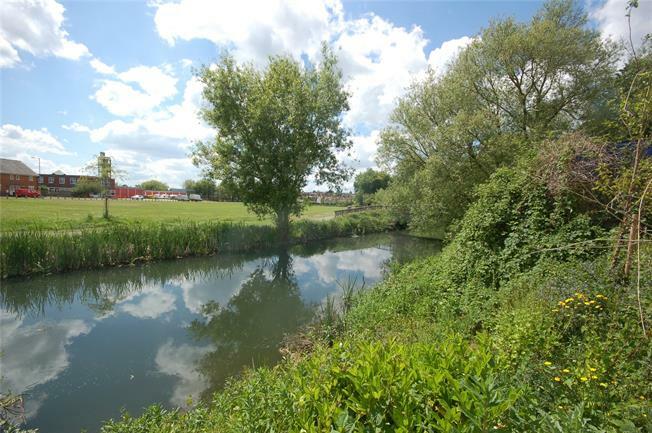 The property boasts a lovely aspect with the rear gardens overlooking the River Avon and parkland beyond. Abutting the sitting room is an ample paved terraced area, the ideal setting for al-fresco entertaining whilst enjoying the beautiful view, which is rare to find in a City home. The garden is mainly laid to lawn with brick and fence boundaries providing a degree of privacy. A gate at the bottom of the garden leads to the River Avon. To the side of the home is a garage with further parking to the front.